BostonVoyager interviewed Robyn and asked many questions about her story & who she looks to as inspiration! What RD's Do!, April, 2018. What exactly do registered dietitians do? Read more here in my interview with Stephanie Langdon from her website What RDs Do! Watch Robyn’s latest video to learn more about cutting edge science on eggs. Robyn shares the latest information from the Egg Nutrition Center and her own take as a nurse practitioner and expert the field of nutrition and dietetics. Click here to watch the video now. The three words ‘back to school’ can bring a shudder or relief to many families. With the pressure of readying for back to school comes grocery shopping and meal planning around tight schedules. As a guest blogger, Robyn shares her insights on how the versatility of eggs can come to the rescue. Read meat has been demonized for years. In this article for Fox News, Red meat can be healthy — when you eat it this way Robyn shares her expertise on how meat can fit into a healthy diet. In this article, The Definitive Guide On What to Eat Before a Morning Workout, Robyn shares her secret to making the most of your workouts. Robyn is honored to be featured as a HealthyBytes.com expert. Read more about Robyn’s story and her thriving business. What healthcare providers (and consumers!) need to know. Read The New Dietary Guidelines to find out about Robyn’s 5 key points. The New Dietary Guidelines, What healthcare providers (and consumers!) need to know. Read Robyn’s 5 key points. ‘Tis the season for fellowship, fun and – at least for some – hangovers. What to do to avoid that morning-after dry mouth, headache, shakiness and regret? Read what Robyn Kievit and five other experts have to say. 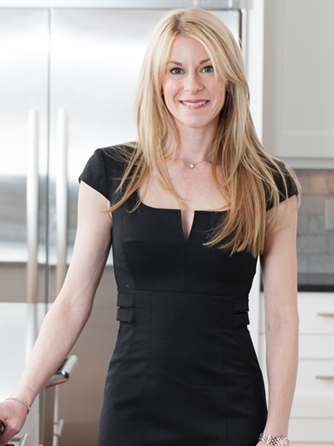 Tune in to hear Robyn discuss the Gluten Controversy in this July, 2015 interview. Confusing nutrition messages are often linked to timing of meals and types of foods, but struggling consumers can take action by eating nutritious choices relatively more frequently and earlier in the day. Check out this article to learn more from Robyn about this timely topic. Highlighting National Nutrition Month 2015 – Bite Into A Healthy Lifestyle. It’s National Nutrition Month 2014. Tune in to hear Robyn discuss new food label guidelines, pistachios and the truth behind nutrition and wheat. Eating on a student budget is difficult! Read how Robyn recommends you can still eat healthy, even in the dining hall, and what exactly you need to keep in the kitchen or dorm room in order to prepare and eat the most nutritious foods. Is bigger still nutritious? Robyn discusses which beverage sizes are the right size to consume for caloric intake, as well as other general nutrition guidelines to keep in mind. Tune in to hear Robyn answer the questions most consumers have but never venture to ask! Twenty-six of the nation’s most influential food and nutrition professionals visited the Fargo area this week as part of the second Wheat Safari, hosted by the Wheat Foods Council (WFC). When is it something serious? Do They Deserve the Hype? What will work for our patients?